The Supreme L42 is the same length as the L48 but slightly thinner reaching a width of 42". 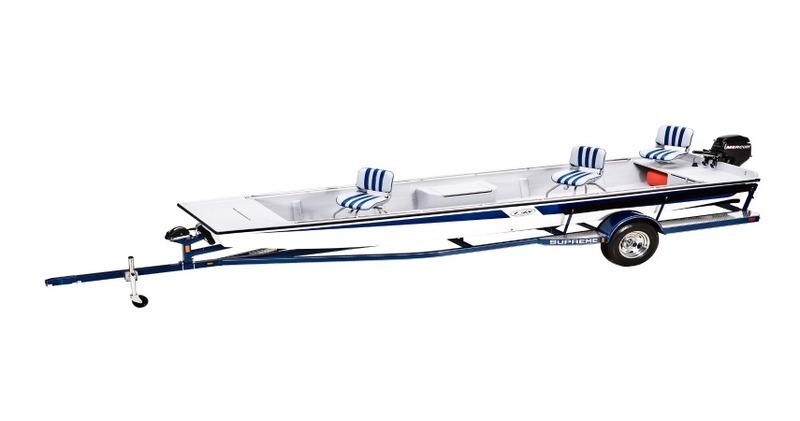 The fiberglass L42 has a 58" beam and comfortably fishes four (4) people. Upgrades are available to make this boat all a fisherman needs to get out there and do a day's work on the water.